Most of us dream one day of having a leisure life and kissing goodbye to the grueling 5 days a week work schedule. How nice will it feel to be able to sleep in, go for long walks, travel and live the good life. This dream however is very costly. You need a lot of money to fund retirement for 30-40 years. 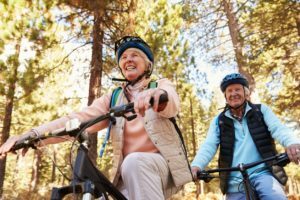 A 2016 study by RBC, shows that 56% of non-retired Canadians were worried that they would not be able to enjoy the lifestyle to which they were currently accustomed. What’s the solution? Face reality, get the facts on your situation and fear not. About a quarter of Canadians (26%) say they feel “confident” or “excited” heading into RRSP season. For Canadian respondents who use a financial advisor, that figure jumps to 40%. Leger surveyed 1,522 Canadians online between January 2 to 5, 2017. So, get help to gain clarity on the future and save as much as you can to ensure a comfortable, stress free retirement!